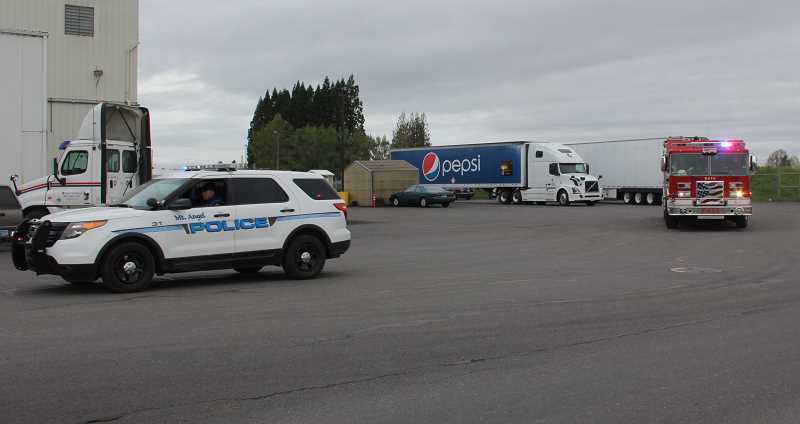 Pepsi Northwest Beverages LLC in Mount Angel is taking part in a nationwide initiative by PepsiCo to raise money for fallen heroes' children. The Rolling Remembrance campaign is a 7,000-mile long relay of an American flag from Tacoma to New York during the month of May to benefit the Children of Fallen Patriots Foundation. The campaign started last week, with the tractor trailer stopping in Mount Angel on Tuesday. 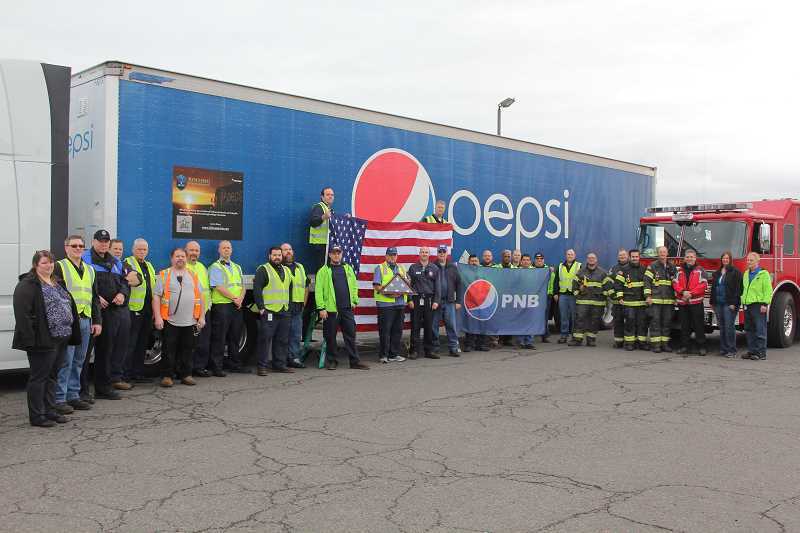 The two-year-old campaign is in honor of Memorial Day and having a physical tractor trailer, driven by Pepsi drivers who are also veterans, raises awareness for the cause while also delivering product on regular delivery routes. Last year's campaign raised $100,000 for the foundation. The flag being transported around the country this year was flown on a UH-60M Blackhawk helicopter on a combat mission in support of U.S. and coalition ground forces in the Kandahar Province of Afghanistan during Operation Enduring Freedom 2012. Angie Vachter, administrative assistant at the Mount Angel location, said employees donate and the company matches that total donation. Community members are also invited to donate. "It helps kids who have lost parents who serve, helping them continue on reaching their goals and getting through school," she said about why it's an important cause. In fact, Norm Barnett, who retired last year after 34 years with the company, returned to the facility last Tuesday to see the tractor trailer drive through, and to donate. The cause is near to his heart, as he's a Vietnam War veteran. "It helps veterans' families out," he said as to why he returned for the event. Vachter said the community can donate to the cause throughout the month of May by going to www.fallenpatriots.org. Follow the truck's progress on Facebook, Twitter or Instagram by searching for Rolling Remembrance.